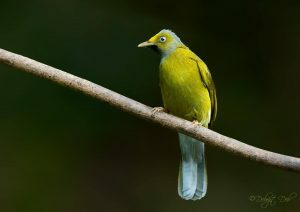 The term “Western Ghats” evokes curiosity, wonder and fascination amongst nature lovers and particularly for birders. The word “ghat” means “steps leading to water” but is often roughly translated as “mountain” or “hill”, and so the “Western Ghats” refers to the chain of mountains and hills that run in a north-south direction in western India and separate the Deccan Plateau from a narrow coastal strip along the Arabian Sea. In 2012, UNESCO listed the Western Ghats as one of the world’s eight “hottest hotspots” of biological diversity. This elite status is well deserved considering the rich and abundant flora and fauna found in this special region, whose evergreen tropical rainforests are older than the Himalaya mountains. From a wildlife perspective, the Western Ghats boast some truly awe-inspiring facts and figures. For example, the region holds approx. 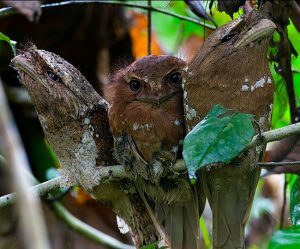 5000 flowering plant species, 140 mammals, 179 amphibians, and 508 bird species (about half of the birds of India) with a high rate of endemism. 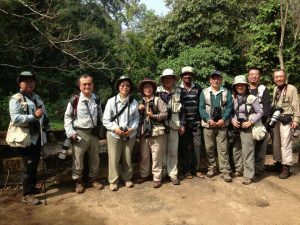 What is also interesting is that you can get to see the Western Ghats specialties on our tours which take you through some of the most beautiful parks and reserves of the region and you will also have great opportunities to take memorable photographs of the birds and wildlife to remind you of the magical land that is the Western Ghats. Please do not hesitate to contact us if you’re interested in any of our set tour programs or if you have any special target species you wish to see or photograph. 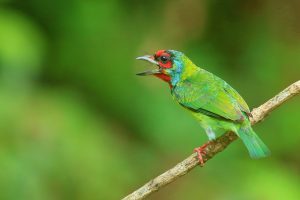 Our 8 days Western Ghats odyssey shall cover three most important birding areas in South India: “Lower Thattekkad” (Dr. Salim Ali Bird Sanctuary), hill stations of Munnar in Kerala and mountain zone “Ooty” situated in Tamil Nadu. Arrival at Cochin International Airport.We will drive out a chartered vehicle to our first destination Thattekkad. The journey can take upto one hour. 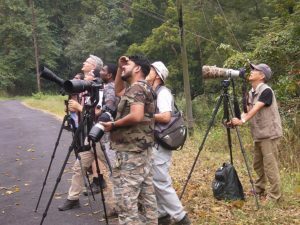 Thattekkad is a lowland forest with several types of eco-systems – riverine, grasslands, evergreen, scrub, dry deciduous, lowland forest, enabling it to be one of the best birding destinations in India. 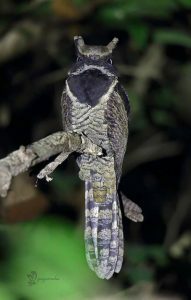 This is also home to most of the endemics of the Western Ghats. 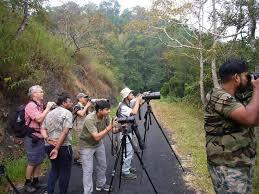 Thattekkad Bird Sanctuary is located in the dense tropical evergreen and deciduous forests and grassland patches. The picturesque landscapes here makes it a choicest bird sanctuary for those who love being close to nature. We will settle into Eldhose Birding lodge set in the midst of forest and proceed for birding during the next three days.We will spend next three days by visiting various forests areas in and around Thattekkad, looking for endemics such as Malabar Parakeet, Malabar Grey Hornbill, White Bellied Blue Flycatcher, Black Throated Munia, White bellied Woodpecker, Red Spurfowl, Grey Jungle fowl ,Malabar Barbet besides owls like the Mottled Wood Owl, Ceylon Bay Owl, Oriental scopes owl, Brown Fish Owl, Brown Hawk Owl ,Indian Scopes Owl and Spot bellied Eagle Owl.Overnight stay at Eldhose Birding lodge. 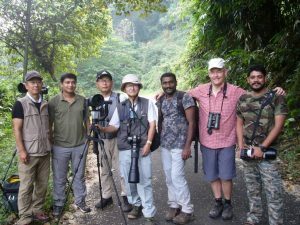 After birding in morning hours we will continue our long drive to Mudumalai. The journey can take upto 4 hour. Mudumalai is a true nature’s delight that provides you best views of nature in its purest form. Here we look for Malabar Lark, Skyes Lark, Singing Bush Lark, Indian Nutatch, Savaana Night Jar.Overnight stay at a hotel close to the reserve. 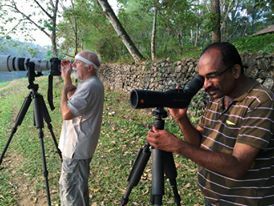 We will start early in the morning birding at Ooty. 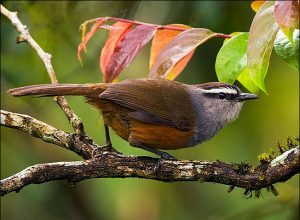 Ooty – a hill station, at about 2,200m in the Nilgiri Hills – is where we will look for the endemic Black and Orange flycatcher, Nilgiri Blue Robin, Nilgiri Thrush, White spotted fantail, Blue capped rock thrush and many others.Overnight stay at a hotel close to the reserve. 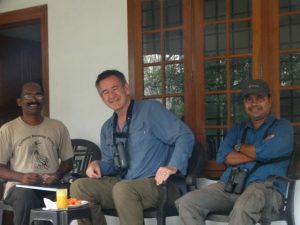 After morning birding around Ooty and surrounding areas, we will make our way to Kochi by noon.